For one of the next Open Beta updates we will add the A/A Waypoint (bullseye) along with range and bearing to ownship and TDC from bulls is displayed. This can be set to any waypiont, and you'd want to have one waypoint at the same location as the bullseye set for the mission. Additionally, the Bearing Range and Altitude (BRA) of the TDC cursor to the player ownship is displayed. 1- The A/A WP legend is boxed. 2- A bullseye symbols will be shown in the tactical region of the AA radar display (RWS, STT, LTWS, and TWS). 3- When the bullseye waypoint is also the selected navigation waypoint, the symbol appears as a diamond with arrow point to north. 4- When the bullseye waypoint is not the selected navigation waypoint, the symbol appears as a circle with arrow point to north. 5- The arrow pointer on the bullseye symbols can point to either true or magnetic north, based on the HSI/DATA/AC sublevel selection. Also note that when bullseye is enabled, that the bearing and distance of the player ownship to the bullseye is displayed in the bottom center radar display. The bearing and range of the TDC to the bullseye is displayed in the top left portion of the radar display. From the radar DATA sublevel, the BRA option can be selected (boxed) at pushbutton 19. When enabled, BRA (baring) / (distance in miles) of the TDC to the player is displayed within the bottom left tactical area of the display. A busy day! GBU-10, GBU-12, and GBU-16 also became operational today in the internal build. After some more testing, we hope to bring these to an Open Beta soon. As with the laser-Maverick, we'll initially release these with off-board designation, like a JTAC. Once the ATFLIR is added, then self-designation will be possible. We will later add the GBU-24, but this requires some additional work as it has some significant differences from GBU-10/12/16. This is a recording of one of the 13 new interactive training missions coming to the Hornet on 5 December 2018. 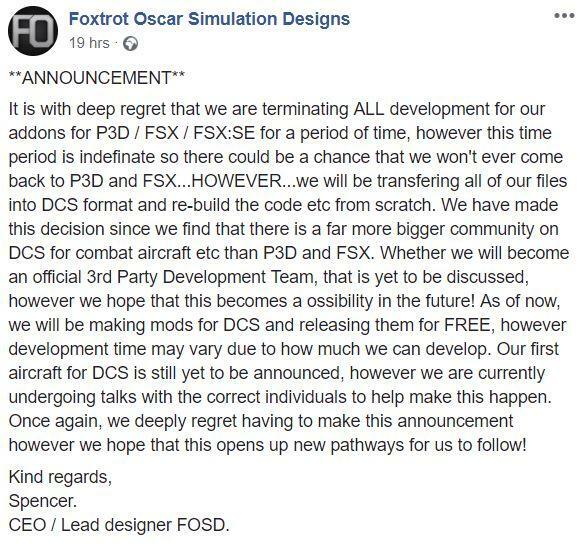 A comprehensive tutorial on DCS F/A-18C Hornet carrier operations. * Must be in ARM Master Arm mode and A/G Master Mode. * Select MAVF from Stores page and then again for AGM-65F format page. * If missions starts from the ground, you must give the seeker time to cool down (seeker) and spin up (gyro), indicated by the TIMING countdown timer. * Set TDC to Maverick format page, left sensor control switch (assuming MAFV format on LDDI). * HOTAS Cage/Uncage button to cage the seeker to boresight. * HOTAS HARM Sequence / FOV / RAID button to toggle seeker field of view. Note: FOV change should only be possible in a non-tracking seeker state. * TRACK WHT/BLK should only toggle symbology, NOT seeker polarity. In addition to symbology color, it also will set the seeker to bias locking of white point targets (WHT) or black (BLK). TRACK does NOT indicate seeker tracking state. * To lock a target, slew the crosshairs over a target and release the TDC button. If it cannot lock, the crosshairs will expand to breaklock mode the pointing cross with flash. * If a TGT point is set, the seeker will auto-Slave to the location. Once slaved, press the HOTAS undesignate button to allow manual slew. * Adjust Maverick motor burn time, speed, and range. * Cage to boresight from slave mode, already fixed internally. 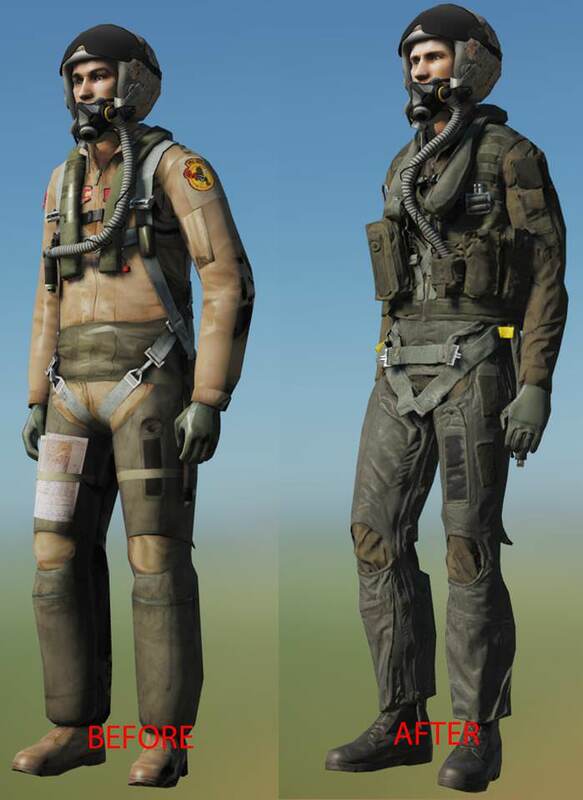 Note: the AGM-65F uses the existing infrared-rendering shaders, not the new one under development. * The AI Su-34 will no longer self-destruct when dropping a KAB-500S. * Fixed an MP issue where static objects with number greater than 501 would not be visible to clients. * Added coalition management of countries in the Mission Editor via arrows keyboard keys. * Debriefing. Target for some SAMs and ASM HY-2 were displayed as null (0) or nothing in the debriefing. * When scripting the Mission Editor function StaticObject.destroy() is run on cargo objects, the cargo was not removed from the perspective of clients. 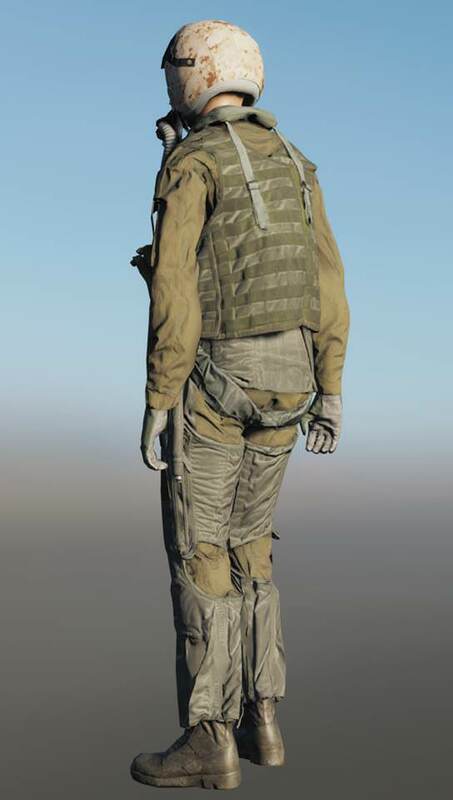 * Corrected Su-24 level of detail such that it does not disappear. 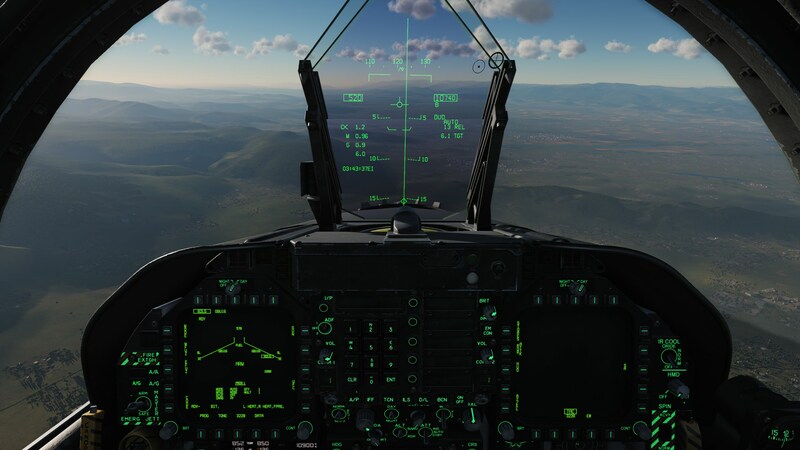 * Added radio command to AI wingmen to “Go to Tanker”. * Corrected nose bounce and blackout when launching from the aircraft carrier with a heavy payload. * Updated AGM-65E/F. While the AGM-65E is now complete, the AGM-65F is still a work in progress. Known AGM-65F issues include TDC slew roughness, missile speed, and seeker lock distance against ships. * Fix to pop-up point not switching over. * Fixed sun halo on canopy glass. * Added scratches to canopy glass. * Fixed oval shaped afterburner. * Greatly improved radar where more objects is visible and differentiates better between different terrain types. * Auto generated attack missions should now default to a ingress/egress angle 45 degree off instead of straight when no suitable terrain-masked ingress/egress is found. * Fix to TERRNAV not fixing. * MiG-29. Adjusted the APUS compensator that will works independence by landing gear. * Cockpit 3D model bugfix. * Fixed an external textures z-fighting. * One of ordinary Spitfire model LODs has clipped wings -fixed. The version that shipped today has poor performance in the 120km mode per our benchmarks. Please report if you also see reduced performance in the lower range modes however. We've fixed the 120km issue and that fix should be available on the next patch. Proč tolika já sosnul jen 290 Mb. A rozbalilo se na 23 giga. Tipnul bych si, že nemáš mapu Perského zálivu. 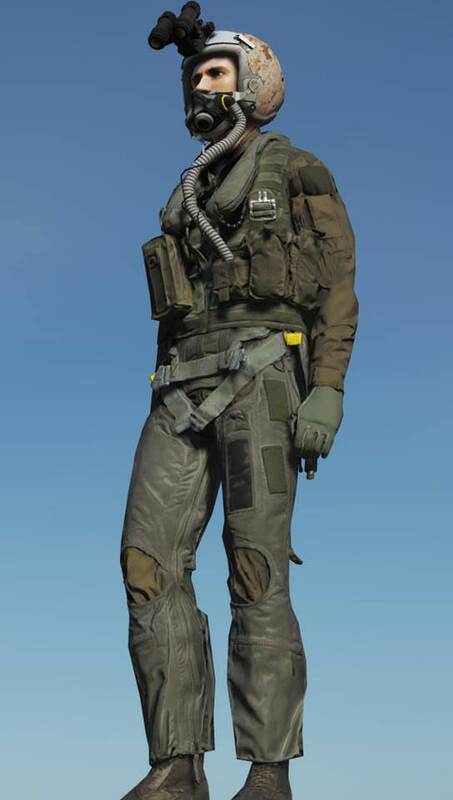 WIP of the New AV8B Pilot. 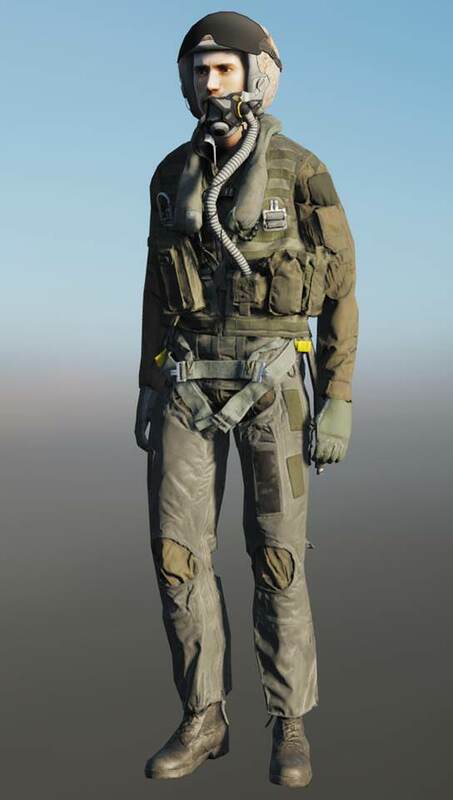 This is a 3D scanned pilot of the actual Marines/Navy pilot equipment used for fixed wing ejection seat aircraft consisting of CWU-27/P, CSU-15/P, MA-2 Torso Harness, CMU-33/P and LPU-33/P. All confirmed by our Harrier Pilot to be 100% accurate. The Combined Arms: Frontlines Georgia campaign is the first all Combined Arms single player campaign. 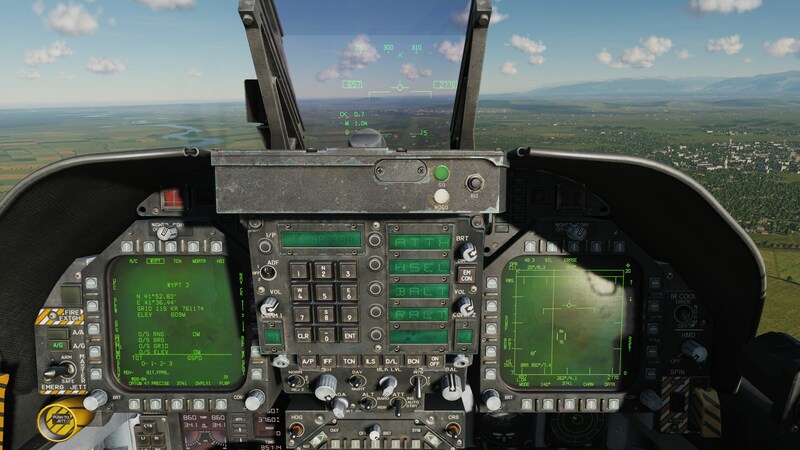 In this campaign, you will experience many different aspects of Combined Arms combat in DCS World, from commanding a large number of units over a number of different objectives to sitting in a tank and commanding a platoon of tanks from the driver's seat. 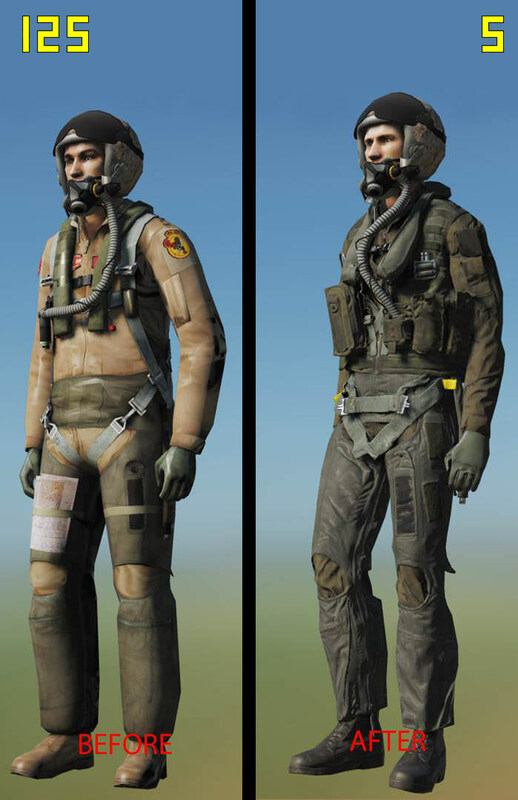 11 Story-driven missions (with supplemental missions if you have a stumble along the way) Command various ground units, from armor, to transport Freedom to set up your air units load-outs before the mission starts 35+ unique voice overs With CA Frontlines, we hope you will learn and enjoy playing DCS: Combined Arms in ways you might not have ever thought about before. ajaj už takthle to tam nestíhaj ED dávat do kupy ty dva externí dodavatele a ještě tyhle do toho ..
No horší než VEAO to bejt nemůže, tam jsou v mínusu .. tady zatím na nule. Jedině dobře a co tohle malé studio o dvou lidech zatím spáchalo?